Over the last 10 to 15 years, the practice of requiring individuals to agree to arbitrate rather than litigate any future disputes (or forgo the product, service or employment altogether) has been heavily criticized by government agencies, the media, academics and consumer groups. Arbitration, it turns out, is not always faster and cheaper (the two major benefits claimed), and it can suppress the number of consumers pursuing legal remedies, the likelihood of success and the amount of damages. People buy insurance for peace of mind and financial security and protection, rather than economic gain. 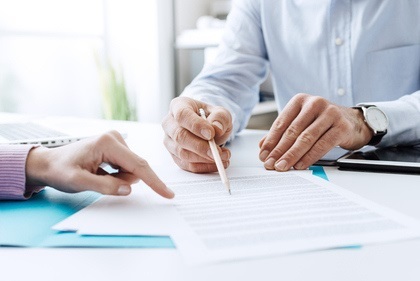 The insurer’s obligation to pay a covered claim creates a very different relationship than that found in most contracts, as the policyholder cannot obtain a different policy if an insurer inappropriately delays or denies coverage and full payment. All states require insurers to adjust claims with their policyholders’ best interests in mind. These concerns are why NAIC consumer representatives have requested the NAIC amend the Model Unfair Trade Practices Act to prohibit mandatory pre-dispute arbitration clauses in insurance policies sold to individuals, and ideally small businesses. An NAIC working group is now considering this action. This request should not be a difficult one, because it is actually ‘arbitration neutral.’ If arbitration is truly as advantageous to consumers as proponents assert – i.e. a neutral forum rather than one favoring the entity that drafts the contracts – then insurers should have no need to insist on its use before a dispute has even arisen. There is no good public-policy reason to force the use of arbitration. True freedom of contract requires a knowing relinquishment of our constitutional right to a trial, which can only occur once a specific dispute has materialized. The more arbitration proponents ignore this fact and continue to trumpet the benefits of arbitration (mandated through clauses buried in complex legal documents), the more suspect their assertions are. One logical conclusion is that financial services companies believe that without mandating arbitration, few consumers would opt to use it. Thanks to the strong presumption favoring state insurance regulation in the McCarran- Ferguson Act, states can regulate arbitration in insurance despite the Federal Arbitration Act [FAA], which otherwise pre-empts most state laws restricting arbitration. Every court considering the application of McCarran Ferguson to the FAA has acknowledged that states can ban or restrict arbitration clauses in insurance contracts as long as the state prohibition “regulates the business of insurance” and the proposed arbitration provision would prejudice that law’s purpose. What is needed to preserve state regulatory authority and policyholder choice, then, is this clear declaration of policy. The proposed amendment to the Model Unfair Trade Practices Act would accomplish that. Peter Kochenburger teaches insurance law at the University of Connecticut School of Law. He is a NAIC consumer representative, was elected to the American Law Institute in 2013 and graduated from Harvard Law School in 1986.